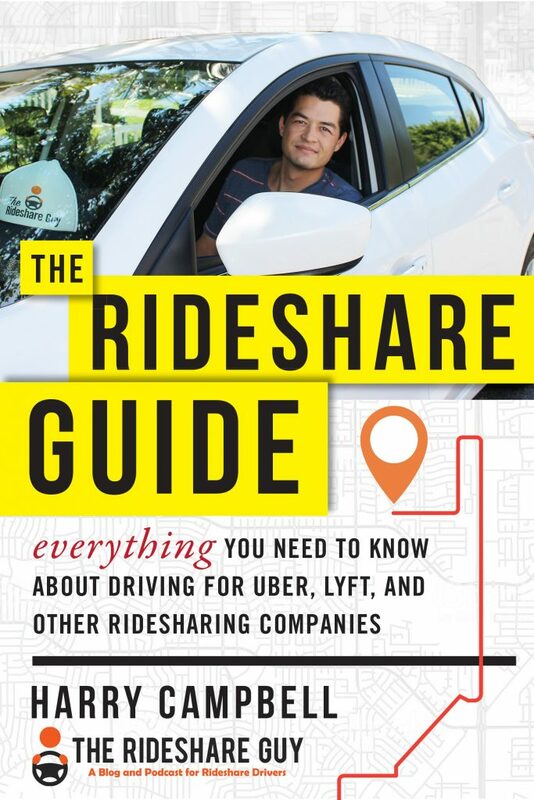 Harry Campbell, aka The Rideshare Guy, has been studying the rideshare industry since 2014 when Uber and Lyft took the world by storm. During that time period, he’s talked to an estimated 50,000+ drivers via e-mail, social media, in person and over the phone about their experiences. And although these days Harry runs his media business full time, he is still an active ‘part-time’ Uber and Lyft driver and has worked other gigs ranging from food delivery for Postmates and Doordash to Bird charging. Harry is a well known media expert and has been interviewed and quoted in thousands of publications around the world. Here’s a full list of our media features, TV & radio appearances, panel/conference appearances, interviews, and more. CNET: Who’s Really Taking You For An Uber Ride? NPR Marketplace Tech: Silicon Tally: A bird? A plane? No, it’s Crystal Meth! Pando: With a $70 billion valuation on the line, why won’t Uber stop punching itself? The Zebra: Mr. Uber Driver Makes How Much More Than Ms. Uber Driver?! 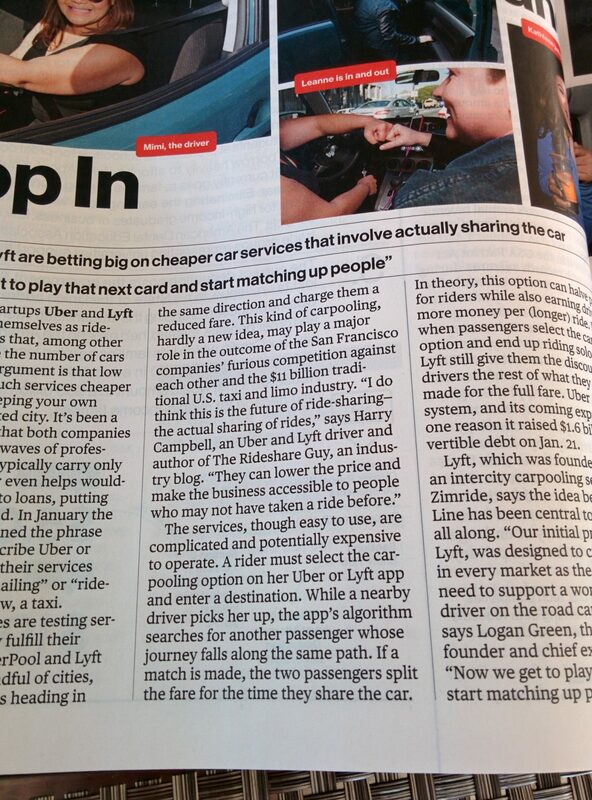 Forbes: Want To Drive For Uber Or Lyft? This Guy Wrote The Book On It. Literally. Next TV: PM10 Point Hope “San Francisco” sharing economy, “the birthplace of the residents do not appreciate? The Ringer: Channel 33, part of the Ringer Podcast Network, is a collection of shows covering pop culture, sports, and tech. The Guardian: Is Lyft really the ‘woke’ alternative to Uber? Market Place: How do Uber drivers feel now that Travis Kalanick is gone? 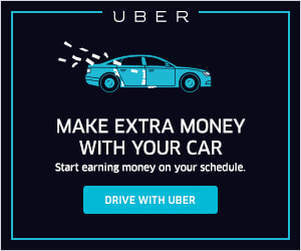 Financial Samurai: Why Would An Aerospace Engineer Want To Be An Uber Driver? Sprout Wealth: How Much Money Can You Make Driving For Lyft or Uber? Clark: What do Uber drivers hate most about their passengers? Nathan Latka: Will Uber Acquire You? BBC’s Cut Through the Noise: Apps and algorithms: Who wins in the gig economy? Yahoo Tech: Who’s Really Taking You For An Uber Ride? SF Gate: Who should inspect Lyft, Uber cars? VICE: Are Uber and Lyft Doing Enough to Keep Criminals From Getting Behind The Wheel? 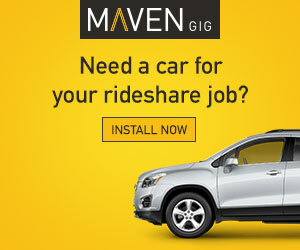 Insurance Journal: Video Ads Next Big Thing in Ridesharing? Fool: Lyft vs. Uber: Just How Dominant Is Uber in the Ridesharing Business? Cnet: What is Uber doing to train its drivers on disability rights? U.S. News Money: Should You Let Uber Help You Lease a Car? MoneyTalksNews: Can Ride-Sharing Provide an ‘Uber-Lyft’ to Your Income? Tech Crunch: How Do You Value A Company Like Uber? Aswath Damodaran: On the Uber Rollercoaster: Narrative Tweaks, Twists and Turns! The Verge: Is Uber trying to pull a fast one on its drivers? Market Place: GM invests $500 million in Lyft. What’s in it for both sides? Forbes: Is Uber Trying To Kill Lyft With A Price War? Biz Journals: Uber drivers’ next stop: Bankruptcy? Money US News: Can You Really Make Money as a Rideshare Driver? The Big Story: Women-only car services fill a niche, but are they legal? Boston: Who should approve Uber’s drivers? Motherboard: How Much Money Do People Spend on Uber? CS Monitor: Will Uber’s new refund policy change the future of transportation? SF Chronicles: When Uber drivers are hurt at work, who pays? The Verge: Where does Uber’s $35 billion deal with Didi leave Lyft? Curbed: Can Juno be the labor-friendly alternative to Uber? BNA: Did Uber Break Taxi Strike Over Trump Immigration Order? Washington Post: Has Uber’s day of reckoning arrived? USA Today: Uber wraps six months of trying to make drivers happy. Are they? Weibo: How does the global dilemma of net car safety make a stranger’s car safe? Washinton Post: As IPO soars, can Uber and Lyft survive long enough to replace their drivers with computers? Zen99: Ridesharing Insurance: Do Lyft and Uber’s car insurance really cover me? Insurance Journal: Will Uber Employee Status Ruling in California Impact its Business Model? Auto Insurance Center: Ride and car sharing: Are you covered? LCT: Could TNCs Become Farm Leagues For Chauffeured Car? Auto Traveler: Ask the Expert: To Rent or Not to Rent Your Home? Qouted: What Do Uber’s Operating Losses Mean? The Zebra: What Do Uber’s Operating Losses Mean? The Zebra: Uber in Small Towns: the Good, the Bad, and the…Inevitable? Las Vegas Now: Are ads for Uber, Lyft painting a full picture for drivers? Common Dreams: Are Uber Drivers Figuring Out a Way to Fight Back? Silicon Beat: Pigs fly! And Uber drops prices! 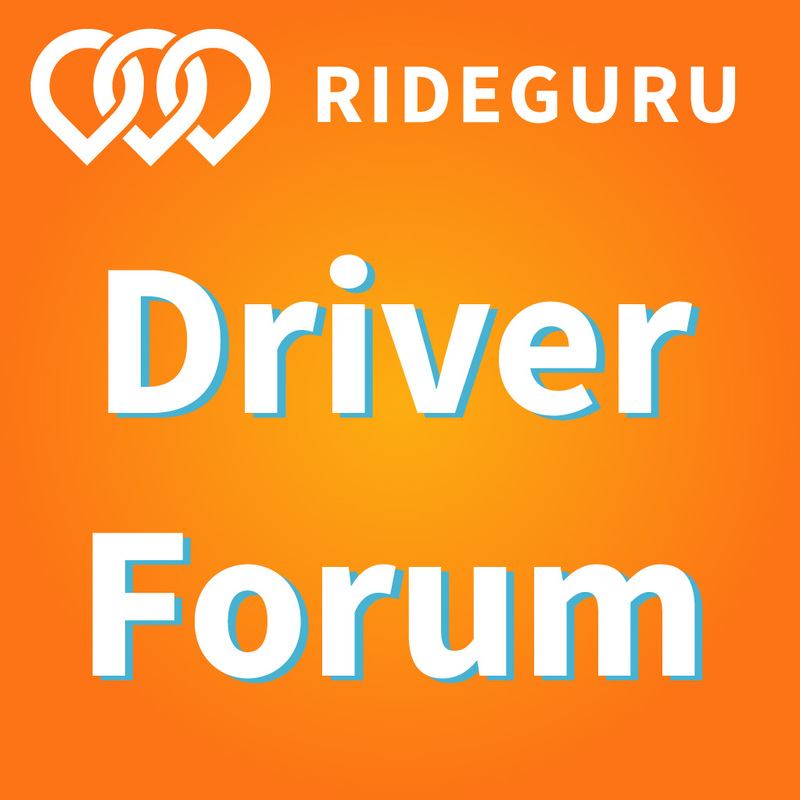 Insure: Is your rideshare driver covered? Shared Use Mobility Center: Can Carsharing Piggyback on Ridesharing’s Success? The Drive: Is Uber’s “Upfront Pricing” Ripping Off Riders and Drivers Alike? Philly Voice: Will legal ridesharing slay the taxicab industry in Philly? Million Mile Secrets: Is Uber Charging Riders More & Paying Drivers Less? Patch: NYC Wants Uber, Lyft to Share More User Data: What Would That Mean for You? Management Today: This book gives the inside story of Uber – but is Travis Kalanick ‘epically vulgar’? NBC Chicago: Your Lyft Driver–Are They Insured? Messenger Inquirer:Even with IPO billions, can Uber and Lyft survive long to enough to replace their drivers with machines?